If you have a keen musical ear about you, once in a while you’ll find yourself get absolutely blindsided by a band. My latest experience of that is without a doubt thanks to Herod. I heard the single they dropped last month, “Reckoning“, and was destroyed by it. In a good way! I wanted – needed – some more. Luckily for me, and you, the band have a wonderful surprise here giving you the first look and listen to their newest track, “Fork Tongue”. 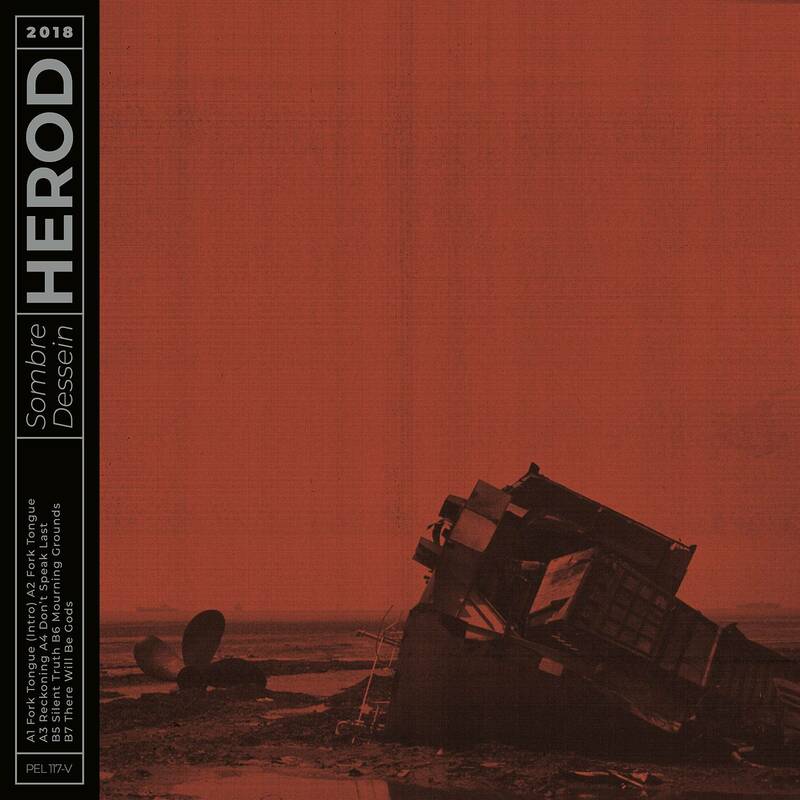 Both “Reckoning” and “Fork Tongue” come from Herod‘s upcoming album, Sombre Dessein (roughly translated: ‘Dark Purpose’). It comes out soon on February 15, 2019 via Pelagic Records. If these two songs are any indication, Sombre Dessein is going to be a crusher. “Fork Tongue” doesn’t have the immediacy that “Reckoning” has, but makes up for it with controlled chaos and caustic brutality. Dissonant tonal atmosphere, an ominous mood, and a formidable weight to the instrumentation combine to make one hell of a sludgy post-metal track. This song, along with the rest of Sombre Dessein, was written when band founder and guitarist Pierre Carroz was reading the works of French philosopher Michel Onfray. Onfray introduced Carroz to the idea of the inescapable end of our civilization as a Greek tragedy. This contends with the idea that all civilizations end as if prophesied, even great ones in history, so what makes our current civilization any different or an exception to that rule? After brainstorming, the band decided to build the lyrical themes with the concept of the rise and fall of a dictator, which is also a tip of the hat to their biblical namesake, King Herod. Leave it to Pelagic Records to find the heaviest of the heavy out there in the world. There’s some noteworthy names attached to the album and song here. Guitarist Bill Steer (Carcass) actually makes a guest appearance on “Fork Tongue”, former vocalist for The Ocean Mike Pilat screams to his beastly content on this album, and it’s all mastered by Magnus Lindberg of Cult of Luna fame. Wonderful stuff! The imagery itself was heavily inspired by Freightened, a documentary covering cargo freighters which ships 90% of what we consume in social, economic, and environmentally disastrous conditions. If all of this pummeled you into oblivion like it did me, you’d do well to like Herod on Facebook and peep their official site to keep up with their heavy antics. You can also check out their Bandcamp where you can preorder Sombre Dessein and listen to their older work! Next PostLillake - "Memory Lies"